Prepon and her fiance Ben Foster are expecting their first baby in 2017. ‘Orange Is the New Black’ star Laura Prepon has announced that she’s pregnant, and is expecting her first child with her fiancé Ben Foster later in 2017. The news came a couple of days after the couple were spotted at the Sundance Film Festival, attending the Creative Coalition’s annual Spotlight Awards. The 36 year old star, an alumna of ‘That ‘70s Show’, was widely reported to have displayed a slight baby bump as she greeted fans and posed for pictures. 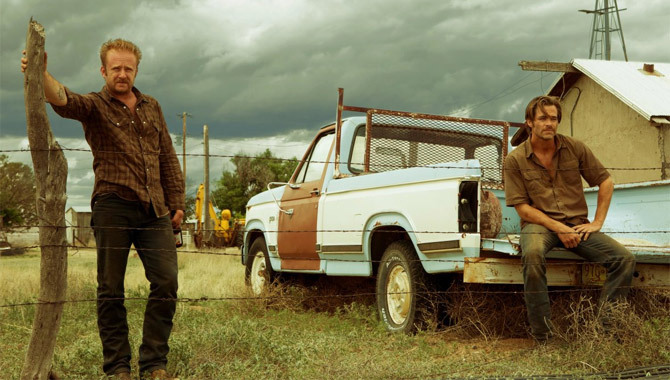 Sicario screenwriter Taylor Sheridan delivers another fiercely intelligent, engaging story that maintains high suspense while grappling meaningfully with some very big topics. Set in present-day America, it's a story for today's social climate, but it feels like a classic Western in the way a pair of desperado bank robbers are pursued by a sly detective. It's also beautifully directed and skilfully acted to pull the audience all the way in. 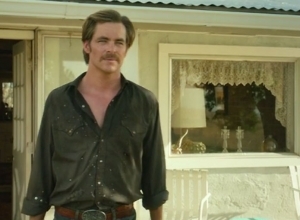 In rural Texas, Tanner (Ben Foster) has just been released from prison when he agrees to help his brother Toby (Chris Pine) stage a series of small bank robberies to earn enough cash to guarantee a future for Toby's sons. Their mother has only recently died, and both are feeling a sense of pointlessness about life, willing to risk everything for a shot at something. But while Toby plans the heists carefully, Tanner is a hothead who continually attracts attention. Sure enough, Ranger Marcus (Jeff Bridges) catches their scent, working with his loyal but sarcastic partner Alberto (Gil Birmingham) to try to get one step ahead of the crimes. And since he's not looking forward to his impending retirement, Marcus is in no hurry. Thankfully, director David Mackenzie (Starred Up) is in no hurry either, steadily building the suspense with each step in the story, keeping the focus tightly on the characters. This means that several scenes are breathlessly intense. There are so many intriguing things going on here that the film nearly bursts with resonance, from the old-versus-new world themes to the economic reality that has put Toby in this mess to begin with, and the corporate greed that's offering him a way out. Pine and Foster are perfectly cast in these roles, and both deliver layered performances that suggest at a more complex back-story than the one we learn. 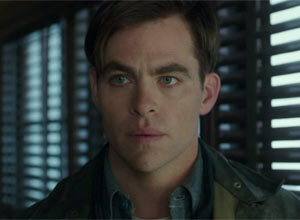 Opposite them, Bridges is the picture of calm, a terrific role that he seems to glide through effortlessly. But this is a carefully gauged performance that nails the tricky balance between tenacity, intelligence and grit. Based on the iconic strategy game, this fantasy battle epic will appeal mainly to either the gamers themselves or audiences that love wildly detailed fantasy worlds. 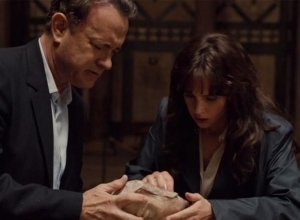 Everyone else will probably feel a bit lost when faced with the stream of confusing names, spells and magical phenomena that fill every scene. It looks terrific, and is directed with plenty of energy and personality. But it feels both overcrowded and superficial. 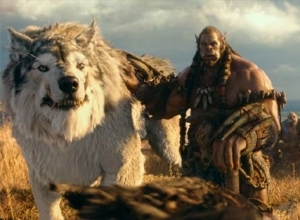 With their home world Draenor dying, the orcs need to travel through a portal to the human realm Azeroth to find more life force to steal. One orc chieftan, Durotan (Toby Kebbell), is having doubts about this murderous plan, and thinks peace with humans might be a better option. 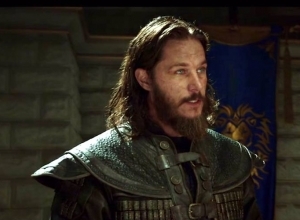 His rival chief Blackhand (Clancy Brown) and the cackling orc shaman Gul-dan (Daniel Wu) disagree, and set a massacre in motion. 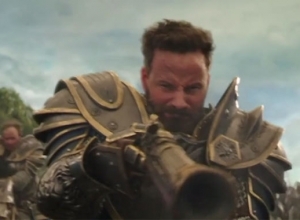 Preparing for the attack, human King Llane (Dominic Cooper) turns for help to his top knight Lothar (Travis Fimmel), sorcerer Medivh (Ben Foster) and apprentice wizard Khadgar (Ben Schnetzer). Then they meet outcast half-caste Garona (Paula Patton), and she offers another way to take on the invaders. For the uninitiated, the elaborate mythology is so detailed that it blurs together into something rather incomprehensible. Director Duncan Jones doesn't have time to explain everything, so he charges ahead and just lets the dialogue overflow with references that may or may not be needed to work out what's happening. The film leaps from one strikingly staged battle to another, all cleverly designed to mix digital animation with gothic costumes. 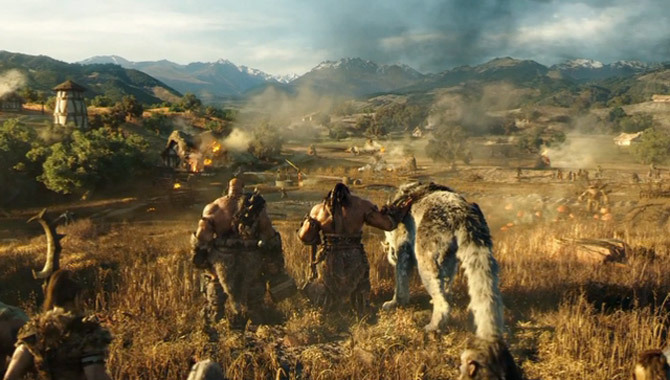 It looks pretty amazing in 3D, but the only characters who emerge with any depth are Durotan and Garona, nicely played by Kebbell and Patton under mounds of effects, makeup, fur and teeth. 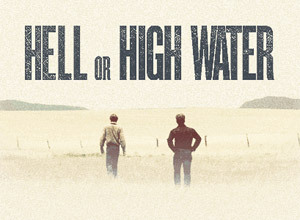 Hell or High Water is an American heist crime film which follows the journey of two brothers Toby (Chris Pine) and Tanner (Ben Foster) on a bank-robbing mission in order to save their West Texas family farm. This film, directed by David Mackenzie, sees the brothers calculate a series of robberies on banks in order to raise a sum of cash that they need in order to ensure their family farm's security. The real trailer comes later this week. War is coming. 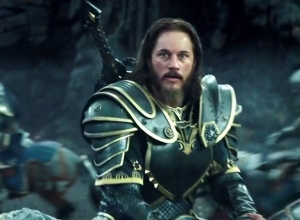 At least, that's what the first teaser for the upcoming 'Warcraft' film would have us believe. Don't get too excited though; this new trailer for the live-action epic gives virtually nothing away and is pretty much over in the blink of an eye. Never fear, though, because you won't have long to wait for the real trailer as it is set to arrive on Friday in all its glory (November 6th 2015). So far, all we know is that the film involves some long-haired, sword-wielding warriors riding giant eagles across sprawling, majestic seaside kingdoms, while being attacked by enormous, man-eating wolves in poor weather conditions and somehow finding themselves in possession of rather anachronistic weaponry. All of this you could've guessed if you are fan of the online role-playing game 'World Of Warcraft'. 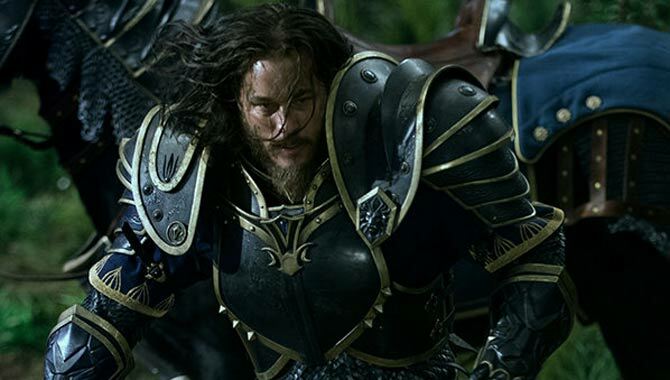 Warcraft: The Beginning is a live action film released in 3-D by Universal & Legendary Pictures. A whooshing pace and snappy dialogue help bring this true story to life, tracing the triumphant and scandalous career of cyclist Lance Armstrong. And the energetic approach helps bring out several layers in Armstrong's perspective, exploring why a top sportsman would cheat to win. 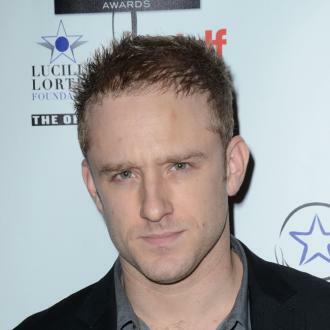 It also features a steely performance from Ben Foster that captures Armstrong's physicality and personality, but not in the usual ways. When he was 25, Armstrong (Foster) was already a star, but his career was cut short in 1996 by advanced testicular cancer. After recovering, he retrained himself as a long-distance cyclist and launched a global cancer charity, then went on to win seven Tour de France titles. His friend, Irish journalist David Walsh (Chris O'Dowd) noticed that his improvement was too good to be true, and continually challenged him to be honest about his work with controversial doctor Michele Ferari (Guillaume Canet). 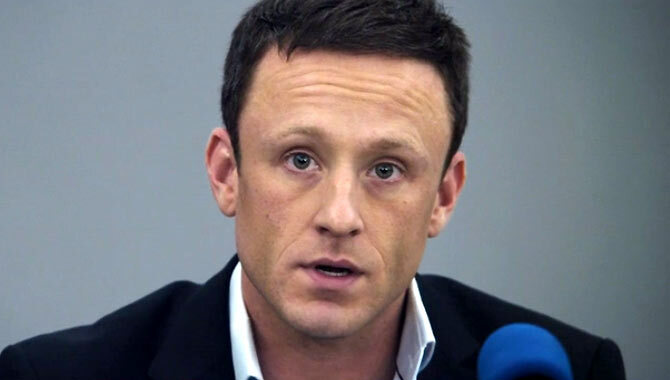 Armstrong defended his name in court, but years later the truth came out that throughout his career he had been systematically cheating with banned drugs and blood-cleansing processes. The truth came out in 2010, but he didn't admit the deception until an interview with Oprah Winfrey in 2013. Since this was so thoroughly reported in the media, and finely detailed in Alex Gibney's acclaimed documentary The Armstrong Lie, there aren't any surprises in this movie. And despite being based on Walsh's book Seven Deadly Sins, the film takes Armstrong's perspective, trying to get under his skin to reveal his motivation. 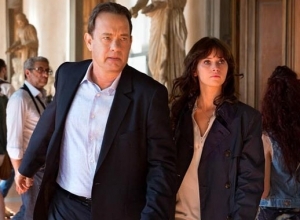 John Hodge's screenplay is insightful, building some strong dramatic suspense along the way, and the film is sharply well-directed by Stephen Frears, a filmmaker better known for softer movies (like Philomena and The Queen). But he guides Foster to a strikingly physical performance that's sweaty and aggressive, and also darkly internalised. Stand-outs in the supporting cast include Jesse Plemons as a fellow cyclist haunted by his conscience and Denis Menochet as Armstrong's team manager. Foster revealed last month that he had taken performance-enhancing drugs to get him in the correct mindset before making 'The Program'. 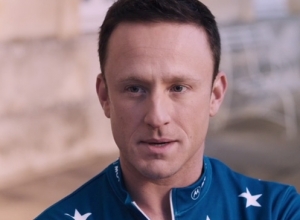 Ben Foster, the actor who is portraying the disgraced former world champion cyclist Lance Armstrong in the upcoming movie The Program, has revealed the alarming effects that performance-enhancing drugs have had on his body. Speaking to the BBC’s ‘Newsbeat’, the 34 year old actor said that he took part in an entirely legal “programme which was supervised by a doctor” that took place before shooting commenced, because he wanted to “better understand why they took drugs”. The Program is released on Wednesday October 14th in Britain, having been out in North America a month ago, and is an adaptation of a book called ‘Seven Deadly Sins: My Pursuit of Lance Armstrong’ by journalist David Walsh (played by Chris O’Dowd in the movie). Foster was intent on getting as close to the mindset of a competitive cyclist as possible, but concluded that the drugs “definitely damaged” his body despite only being on them for a short time. Lance Armstrong was an athlete the entire world loved to support. Having beaten testicular cancer the cyclist went on to win numerous titles around the world including seven gold consecutive gold medals for the Tour De France, which has become known as the hardest bike rice in the world. He had few doubters, everyone loved the superman that he'd become and wanted to believe in the story surrounding his success. One of those few doubters was David Walsh, a sports reporter with The Sunday Times newspaper. After digging into Lance and his team mates, Walsh began to build a case with more and more information backing his thoughts on Lance. 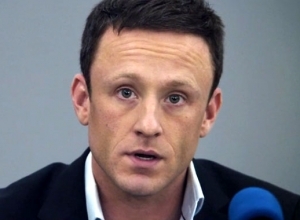 One such piece of evidence was Armstrong's connection to an Italian doctor named Michele Ferrari. What followed was years of Walsh digging and uncovering the real truth behind Armstrong. The Program is based on David Walsh's 2012 book 'Seven Deadly Sins: My Pursuit of Lance Armstrong'. It's 1952 and a routine shipment is being undertaken by the crew of an oil tanker travelling along the coast of Cape Cod. However, little did they know of a disastrous oncoming storm that would brutally attack New England like never before. As bad luck would have it, the crew on board the vessel find their tanker suddenly ripped in half by the hurricane and they are forced to await the Coast Guard for rescue unable to move from their sinking boat. 30 men are trapped, not knowing whether anyone was coming to rescue them, not knowing whether or not this was their last night on Earth. After all, it would be a suicide mission for any lifeboat to attempt a rescue in these conditions, but that's exactly what happens. 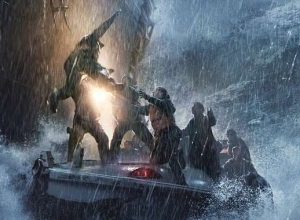 A feat of outstanding bravery for this East Coast Guard.